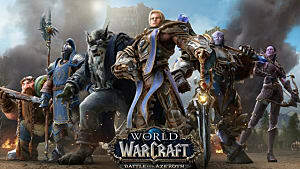 World of Warcraft: Battle for Azeroth launched Monday, August 13 at 3 p.m. PDT in the game’s first ever simultaneous worldwide launch. 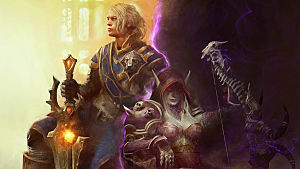 BfA is the venerable MMORPG’s seventh expansion pack, and it’s already seen more than its share of both hype and controversy. So, how is it? For the most part, and from what I've experienced, excellent. It's true that World of Warcraft expansion launches can be unpredictable. Those prior to Battle for Azeroth, Warlords of Draenor and Legion, couldn’t have had launch events that were any more different. Legion boasted one of the smoothest launches in the history of the game, while Warlords was an unmitigated dumpster fire. Where does BfA fall? Well, it certainly wasn’t perfect. Plenty of people experienced login issues for hours after launch, where Blizzard almost immediately posted a message alerting people to watch their customer support Twitter account for updates. In testing the game, the login issues did persist, but multiple attempts eventually resolved the issue -- and there weren’t any further problems. 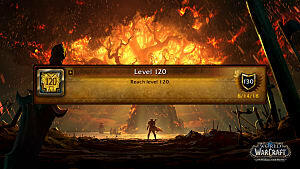 When you log in to Battle for Azeroth for the first time with a Level 110 character, a quest will instantly pop up on your screen. 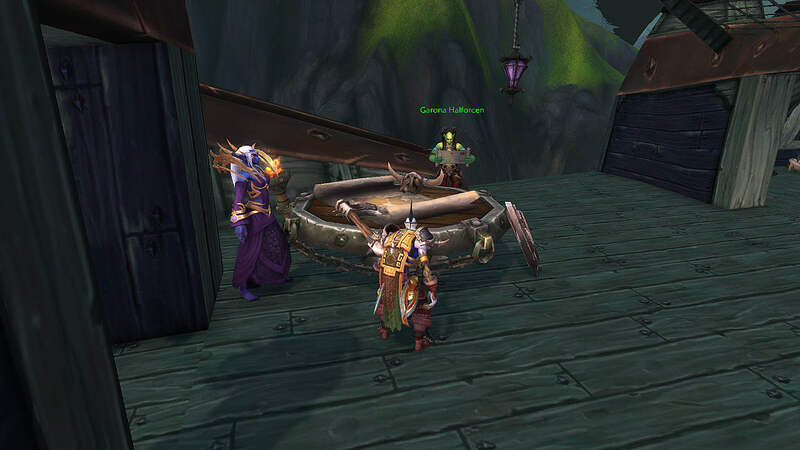 You'll take this quest to get your new Heart of Azeroth necklace from Magni Bronzebeard, who speaks for the planet itself. The quest chain is short, and only serves to set up this expansion’s new iteration on Legion’s artifact system. From there, you begin your faction’s intro scenario. Both scenarios are pieces of individual content that are very story driven. They set up the entire leveling experience, introduce new characters, and highlight some old favorites. Take your time and enjoy these. You can only do them once per character, and they’re actually very fun. Of course, their job is to get you excited for the expansion and the new leveling zones that you’re about to experience, and they more than succeed. World of Warcraft has always had a unique art style. Its semi-cartoonish looks are part of what have made the world uniquely its own. Even in the game's early days, players fell in love. Over the nearly 14 years that WoW’s been running, the in-game visuals have undergone a significant overhaul. In BfA, WoW retains its signature style, but that style has evolved to a place fans could only dream of back in 2004. The game looks stunning, and the visuals help to build a degree of immersion that makes the world feel organic. Every aspect of the new environments boasts an exceptional degree of detail, and it’s hard not to stop and stare. Battle for Azeroth has no shortage of diversity in its atmospheric visuals either. You can find a bustling sea port, a gleaming city of gold rising from a dense jungle, a vast desert littered with the ruins of an empire, and a creepy haunted forest complete with witches and wicker monsters -- all in the same couple of islands. It all makes sense though, and fits perfectly with BfA’s story. As you play through, take some time and appreciate the immense amount of work that went into bringing this world to life. Blizzard stated early on that they wanted the story of BfA to take a more prominent role, and it really shows with the final product. From the second you start on your faction’s intro scenario, you’re thrown into a complex and ever-evolving plot. Both factions arrive on a new island controlled by an allied nation. In both cases, you quickly realize that your new allies are dealing with some serious political turmoil, and you’re stuck in the middle of it now, too. Beyond the core plots, each zone you visit features a whole cast of side characters and plot lines that interweave with your primary goals. There are some real gems mixed in to those quests, and it’s absolutely worth playing through as many quest lines as you can while leveling. 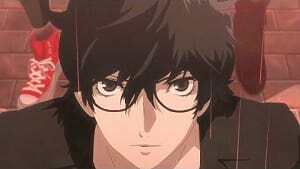 Watch the cut scenes and read the dialogue. You’ll appreciate the experience so much more. 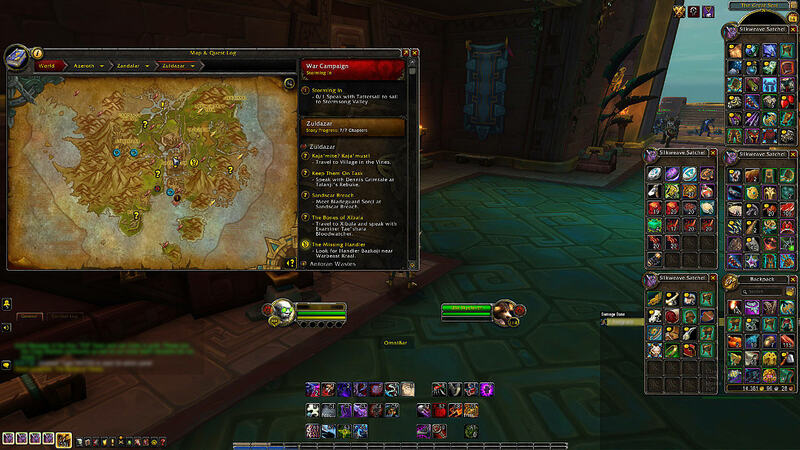 With each expansion, Blizzard has improved WoW's leveling experience. The story and visuals have played a huge role in that. However, BfA is a mixed bag, when it comes to leveling. First off, leveling is slow, and it feels slow. If you don’t care about topping out your character ASAP, this won’t matter much to you. However, if you’re like most players, you want one character at level cap before the first raid unlocks. That should still easily be possible, but players who don’t have that much time to invest might lag behind. Part of that increased time can be attributed to the terrain and placement of quests in certain zones. For example, in the Horde continent of Zandalar, leveling through Nazmir feels much smoother than Zuldazar. Nazmir’s quests flow naturally into one another, and the terrain is mostly flat. Zuldazar is heavily mountainous, and the quests are fairly scattered without a lot of continuity between them outside of the main quest chain. Late in the BfA beta, Blizzard also increased the amount of experience needed for each level. While this was intended to keep players from blowing through the leveling experience too quickly, it had an additional consequence. Unless you complete every quest in every zone, you risk running out of quests before hitting the level cap. The best solution is the War Campaign. Complete each section as you go, and establish your three footholds on the opposite faction’s island. Do that, and you shouldn’t have a problem. While all of that sounds pretty bad, remember that the stories that play out in the quests are top notch, and the environments they take place in are amazing. Leveling in BfA isn’t really bad. It’s just kind of… clunky. There hasn’t been too much time to test the dungeons in BfA, but initial impressions are positive. Right now, the queue times for nearly every dungeon are very long. Some were up to an hour. If you want to run a few dungeons, especially for completing the final quest in each zone, queue and keep questing. That said, the exceptional art direction carries through into the dungeons. They’re all varied, with their own unique aesthetics and enemies to fight. The layouts follow a similar design philosophy to Legion, making them simple to navigate and run efficiently. Boss fights have actual varied mechanics. It’s clear Blizzard is taking Mythic+ dungeons and the Mythic Dungeon Invitational very seriously this time around, and it reflects in the design. 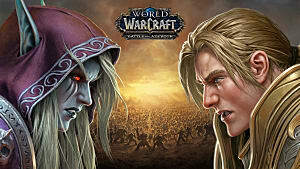 The Battle for Azeroth War Campaign was easily one of the highlights of the questing experience. The War Campaign follows your faction’s efforts to win its war against the opposing faction. 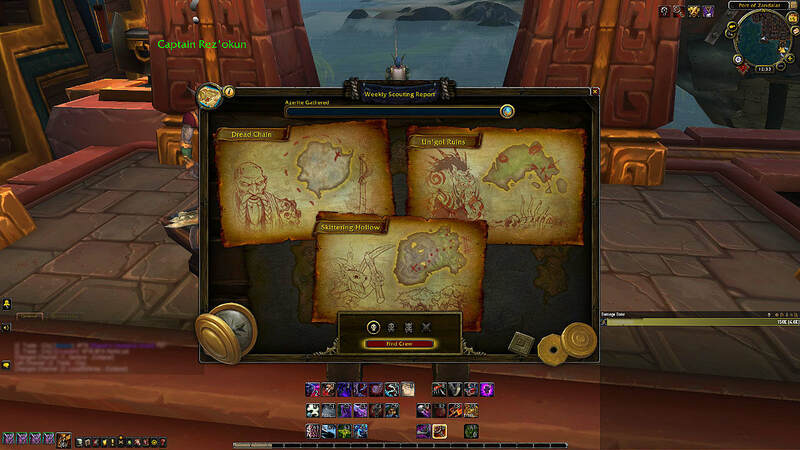 The early quests get you set up with many aspects of the endgame content that you’ll be playing over the next couple years in BfA. The more interesting quests take you to the enemy faction’s home island to establish strongholds for your faction. They’re short chains that pair you with heroes of your faction as you arrive in completely new zones (the opposite faction’s leveling zones). Don’t worry about running into other players, though. Early stages are instanced, and the base you establish does have guards and friendly players. Chances are, you won’t see enemy players, at least not yet. It’s very hard to say much about Warmode this early in the game. It’s one of BfA’s new features with the most potential. It places players who want to fight each other on the same servers and rewards them for fighting with gear, honor levels, and other useful things. Warmode also includes features for encouraging players to fight, like placing a bounty on enemy players who have killed your allies. Warmode is dependent on the players, and if a majority of players don’t use it or abuse it, there’s plenty of room for failure. 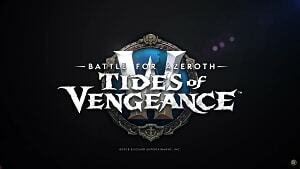 Before the expansion’s release, the BfA pre-patch event introduced Warmode to the game and created a new zone geared for full-fledged Warmode as it appears in Battle for Azeroth. That zone, Darkshore, erupted into a warzone with players grouping up with members of their faction for large- scale battles or just hunting the enemy faction. For people who enjoy open world player vs. player (PvP) combat, it was mostly a great success. BfA’s release brought something unexpected to Warmode, though. Since the beginning, players on PvP servers expected to get killed by higher level players. It came with the territory, and it’s something players were expecting heading into BfA with Warmode turned on. Only, that’s not at all what started happening. Lower-level players started killing higher level ones. 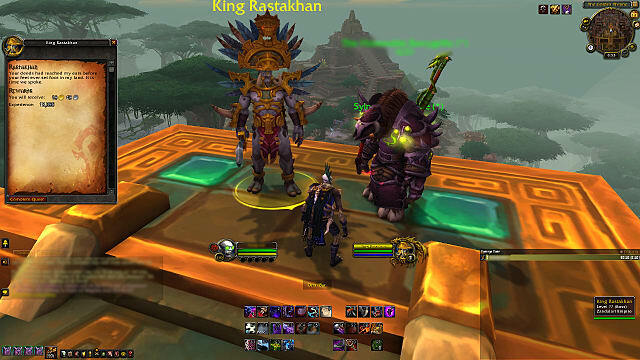 BfA introduced a new scaling system in Warmode that prevents high-level players from killing other players in one or two hits. 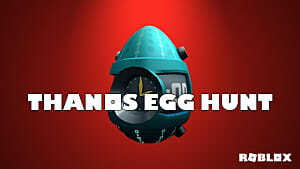 It makes lower-level players more robust than they normally would be, giving them a fair chance to survive. At the same time, Legion’s now infamous legendary items retain their special effects until a player reaches Level 116. The result of both factors gives characters below Level 116 a strong advantage over higher-level players in BfA. In fact, groups of low-level players even formed to go hunt higher levels. Clearly, this is a problem, and it’s one that existed in the beta, to a lesser degree. It remains to be seen whether this pattern will continue into BfA’s lifespan or what level gear will prevent it for max level players, but it’s something that needs to be corrected in order for people to take Warmode seriously. Island expeditions are the return of Mists of Pandaria’s three-player scenarios, but in a much more dynamic way. Island expeditions put you and two other players against a team of NPCs of varying difficulties on a search across an uncharted island for the sought after substance, Azerite. The islands are dynamically generated and feature different layouts and encounters with each visit. If you want a real challenge, you can actually take on three players from the enemy faction in a PvP-flavored version of the scenario. Island expeditions are quick, fun, and provide you with something different to do, even when you don’t have loads of time to play. Battle for Azeroth just launched, but there’s plenty lined up for the near future. On September 4, Blizzard will unlock the main end-game content; raids, Mythic+ dungeons, and the first PvP season. 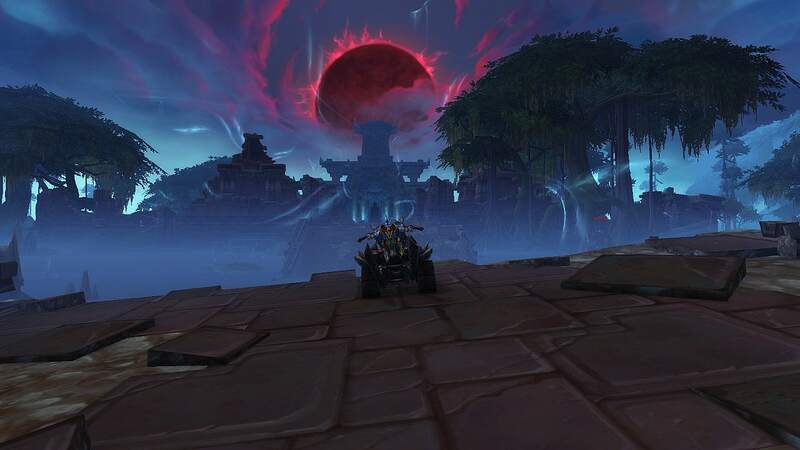 The first raid, Uldir, builds largely on the Horde’s leveling storyline. The next set of allied races, the Dark Iron Dwarves and Mag’har Orcs will be available through the War Campaign at that time, too. Like with any WoW expansion, BfA is going to be around for about two years. Very little is known about future patch content, but the mysterious queen of the Naga, Queen Azshara, will finally make an appearance as a raid boss in one of them. You can also expect several new sets of allied races coming in future patches too. That includes the Zandalari Trolls and Kul Tiran Humans that you’ll be building relationships with as you level. 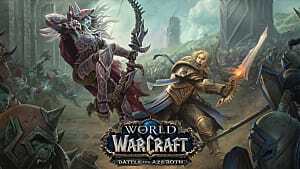 Is Battle for Azeroth good? The content that’s available now definitely is. Old fans and new players alike will no doubt enjoy most aspects of the expansion. That said, it’s always hard to say how a WoW expansion will be judged by history at this stage. 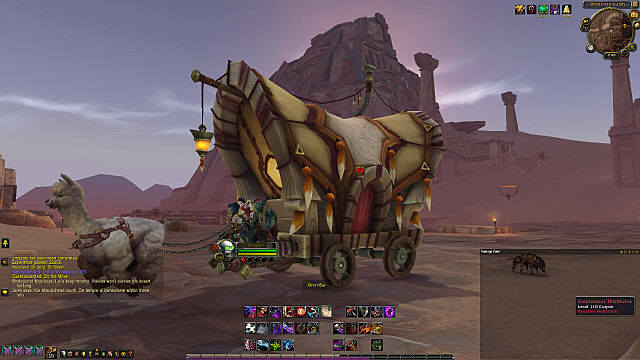 Despite its technical issues, Warlords of Draenor was beloved in its early days. 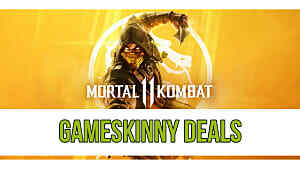 It wasn’t until the infamous content droughts of later patches that it earned its negative reputation. It seems unlikely, though, that BfA will follow that path. 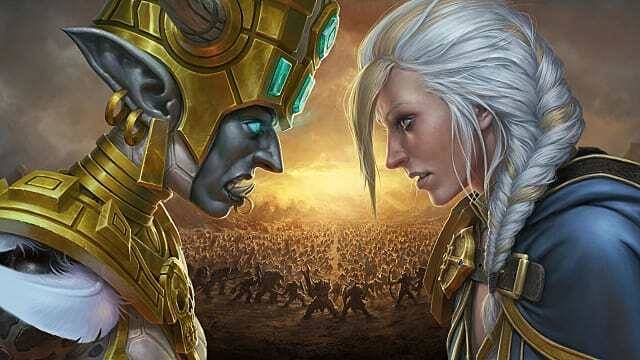 It‘s a pretty safe bet that if you liked Legion, you’ll like Battle for Azeroth.